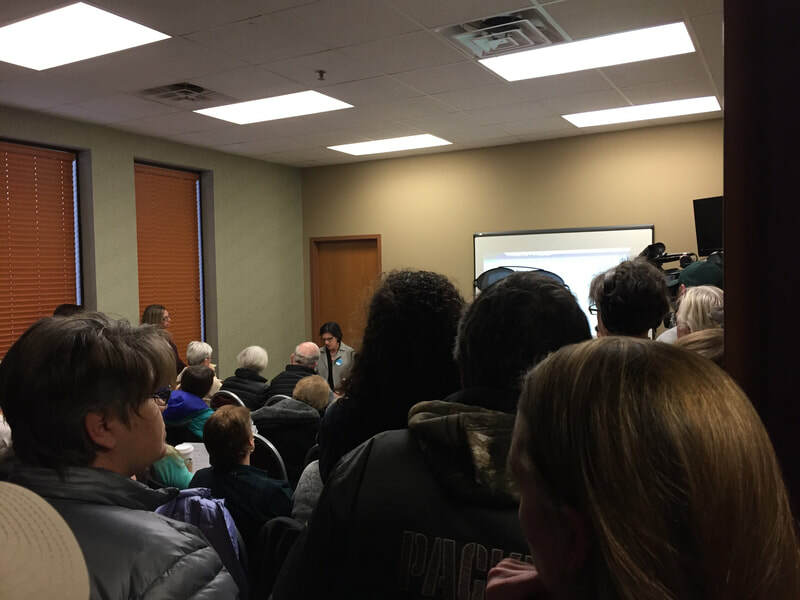 Monday Feb. 11, 1:00 p.m.
A standing room only crowd, with spillover into the hallway, attended the DNR's public hearing for We Energies Pollutant Discharge permit. "The draft permit includes changes that address CWIS requirements, improvement of reporting of mass discharge, alternative effluent limitations for temperature, air pollution control discharges, arsenic variance, mercury variance and numerous other changes." "Proposed Mercury Variance: The Department has determined that a water quality-based effluent limitation (WQBEL) of 1.3 ng/L for mercury is needed to protect wildlife and human health in the above-named receiving water. The permittee has submitted an application for an alternative mercury effluent limitation (AMEL). ... 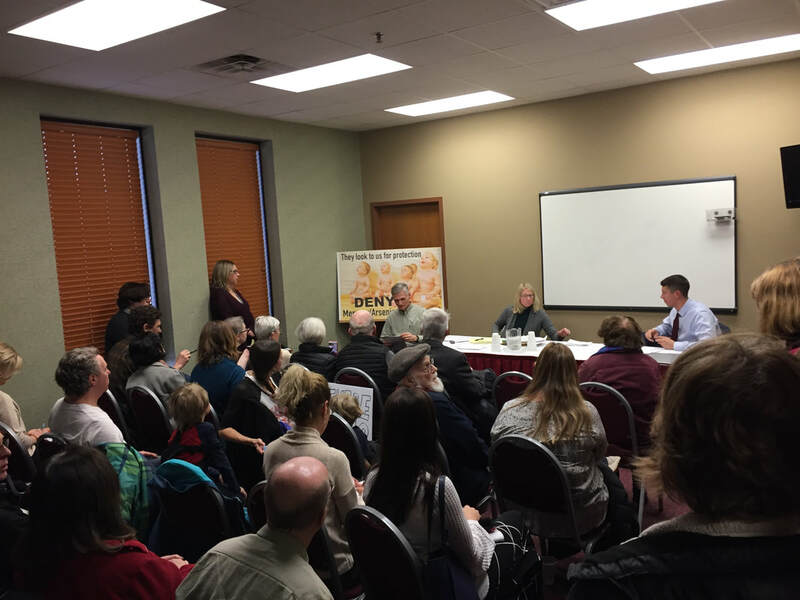 The Department and the permittee have mutually agreed upon an AMEL of 4.1 ng/L..." This is more than 3 times the limit the WI DNR is stating is needed to protect human health! "Proposed Arsenic Variance: The Department has determined that a water quality-based effluent limitation (WQBEL) of 0.2 ug/L for arsenic is needed to protect human health in the above-named receiving water. The permittee has submitted an application for a variance. The Department concludes that the permittee is eligible for a variance based on the information submitted and information on file. 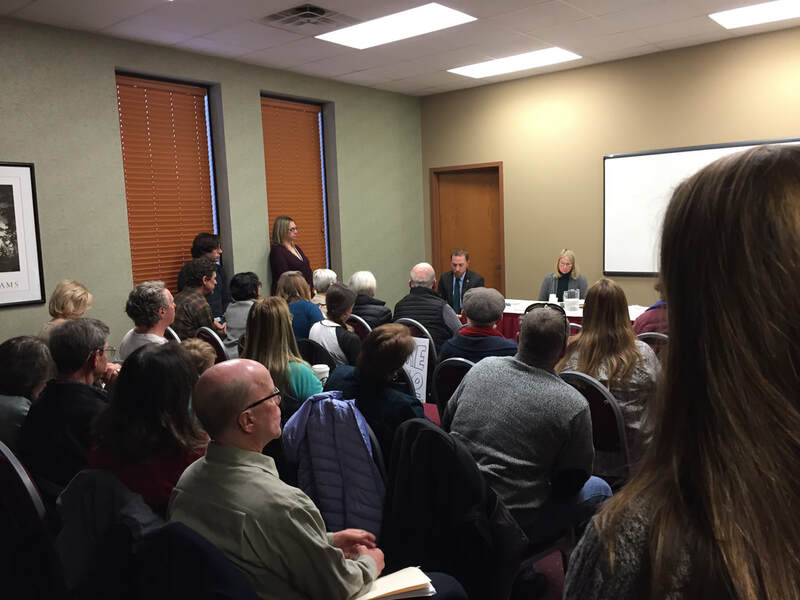 The Department and the permittee have mutually agreed upon an initial limit of 1.2 ug/L..." Gee, this is only 6 times the limit the WI DNR is stating is needed to protect human health! Keeping our environment clean is part of the real cost of fossil fuel electric generation. Let's keep it on the accounting books and out of the water. Read the full State of Wisconsin Department of Natural Resources public notice here. 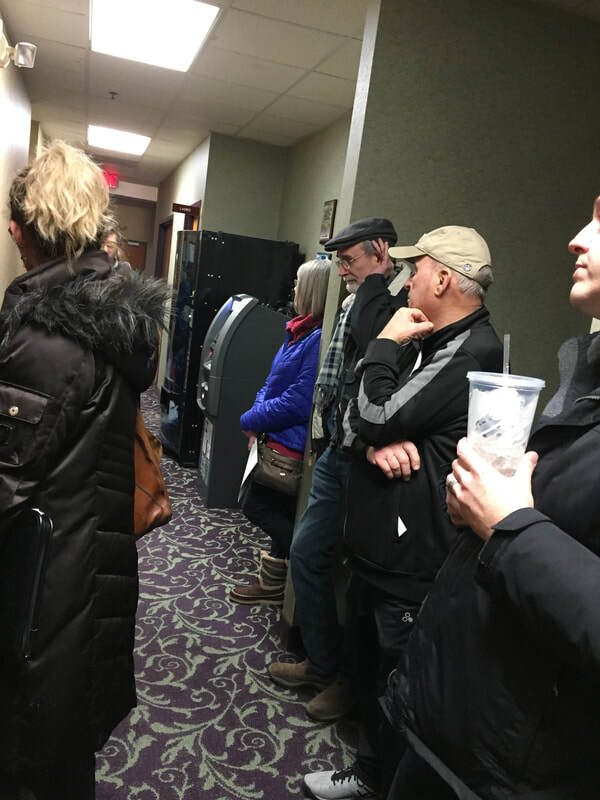 Brief Facility Description and Summary of Proposed Changes: The draft permit is for the Oak Creek Elm Road (OCER) facility consisting of the Oak Creek Power Plant (OCPP) and the Elm Road Generating Station (ERGS). The facility consists of six coal fired steam electric power generating units located on the shore of Lake Michigan. Toxic mercury is once again increasing in some Great Lakes fish and birds after decades of consistent, promising reductions. The reports of increases are a surprise as there’s been steady progress on mercury since the 1970s. Fewer domestic coal plants, accountable for about half of U.S. mercury emissions, helped decrease pollution. The Clean Power Coalition of Southeast Wisconsin is the sponsoring organization of this action.